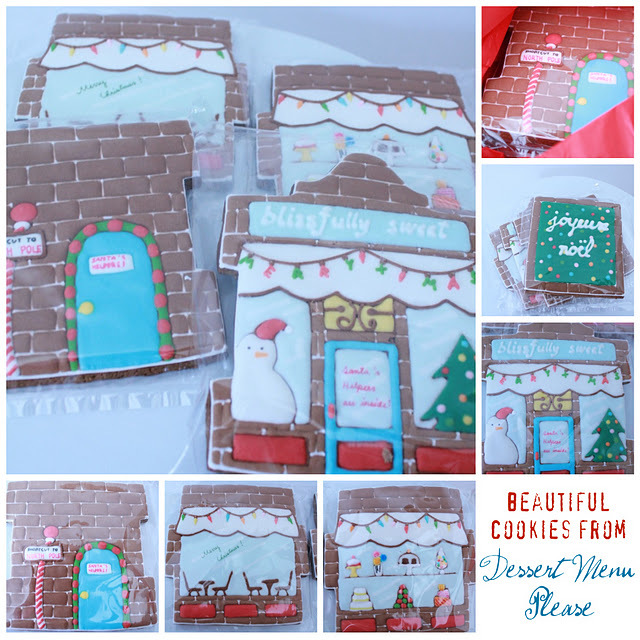 I've never dreamed of a white Christmas, but many a time I have watched online as others have shared photo's of fabulous Christmas Cookies that they have swapped and hoped one day I might be participating in something similar. 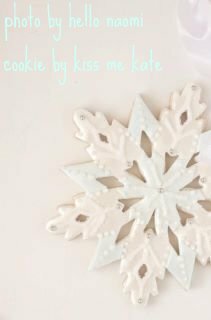 Well this year my cookie dreams came true and I had the great pleasure of joining in a Christmas Cookie Swap with a group of talented Australian Cookie Decorators. The swap resembled a secret Santa whereby each decorator was provided with a name of one other person and it was their task to decorate a small batch of cookies and send them off. The guidelines were pretty simple, mostly that the cookies were all to be posted off on the same agreed date, that the cookies should be some type of Christmas theme of around 4 to 6 cookies and that no one should reveal the name of their swappee or any pictures until everyone had received their cookies. Jordan from Polkadot Prints helped us out with some of the administration and drew out the swappee names and emailed out the addresses. Super Big Thanks to Jordan - she is such a good sport. 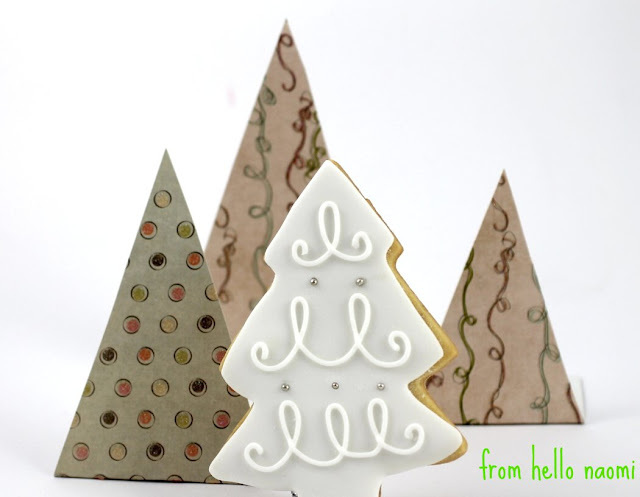 and my secret cookie sender turned out to be none other than the awesomely talented and sweet Naomi from hello naomi. 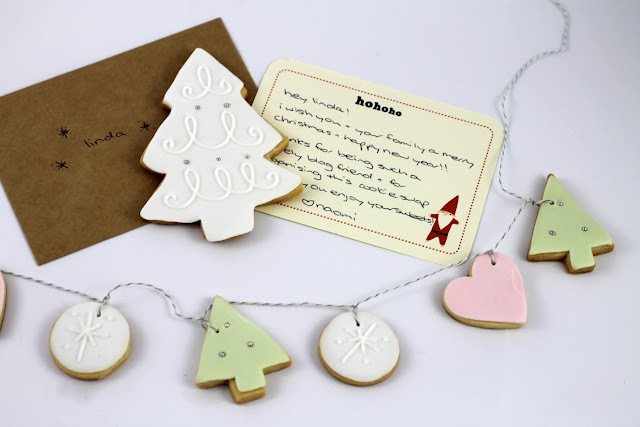 I have been a fan of Naomi's clean simple style for many years and it was a treat to receive her package which consisted of a forest of elegant white Christmas trees and a super sweet and pretty garland of mini cookies in muted pink and green. and I secretly sent my cookies to Kate, from Kiss me Kate. I made a set of 5 Christmas themed cookies using my babushka (nesting doll) cookie cutters. 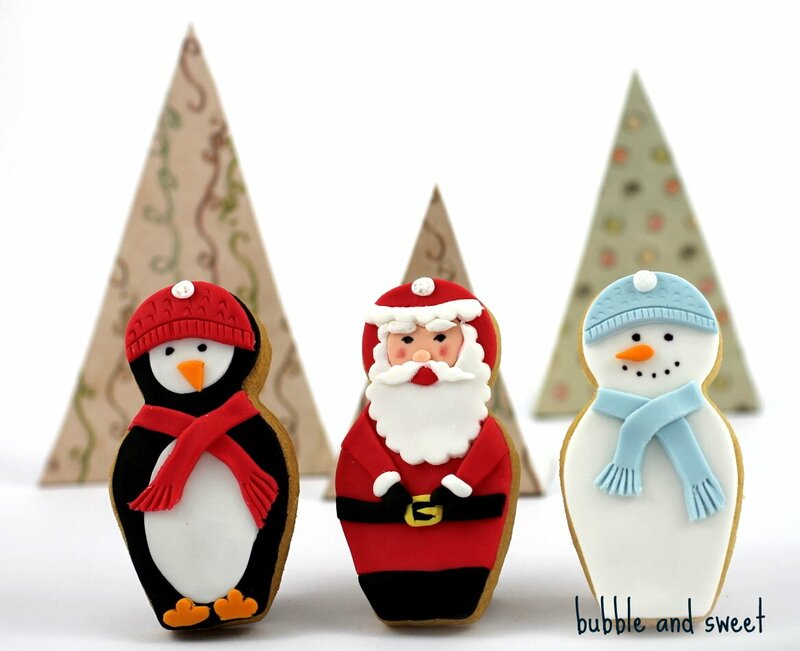 How did I come up with such an awesome idea you might ask....well last year after I did up my babushka cookie tutorial a lovely lady called Jody emailed me with a picture of a set of Santa nesting dolls suggesting it would make a good cookie and ever since it has been in the back of my mind. I just came up with the rest to match. I'll be doing up a tutorial for at least a couple of these cookies here on the blog soon. 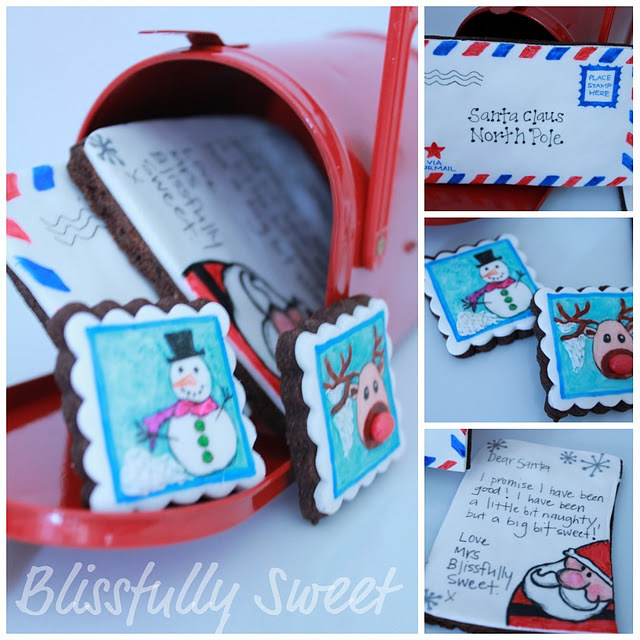 if you pop over HERE to flickr you will be able to see some of Kylie from Three Honey Bees pretty Christmas cookies as well. and you'll be happy to know that the cookies I received from Naomi tasted even better than they looked. Thanks to everyone for joining in the preChristmas fun. What a wonderful idea. And such a great way to showcase Aussie cookie decorators. I hope you all do it again next year. Such a talented bunch you are! 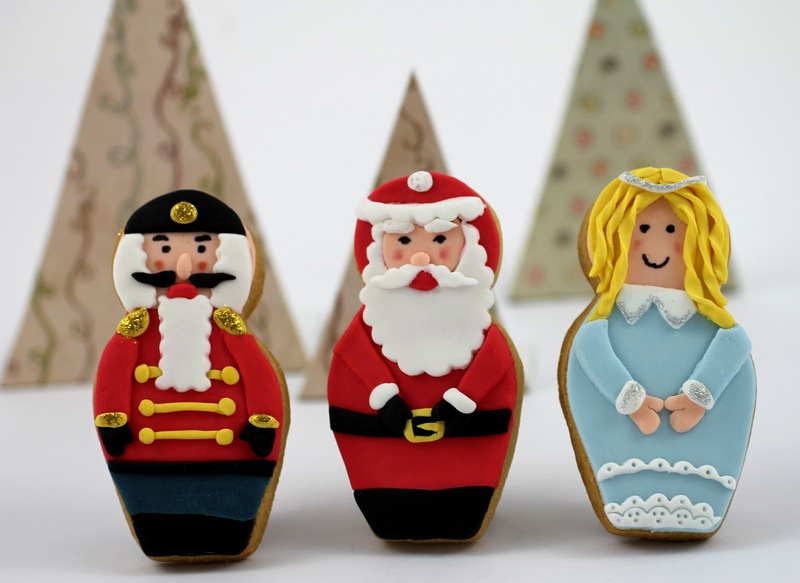 What a lovely idea ... and so many beautiful cookies, art in every mouthful. Love your idea for the cookies too. Can't wait to check out all the other blogs you've shared with. Wow, those are some beautiful cookies! 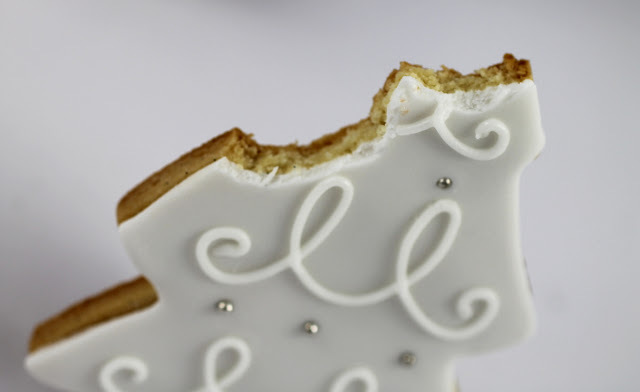 I can whip together a 6 tier wedding cake in no time, but I struggle with decorating cookies!! What gorgeous cookies, all of them. I love everyone's creativity and talent. These are all so lovely, and the cookie swap is such a fun idea. How does one get involved in something like that, anyway? Are you ladies lucky enough to know each other in "real life"?